The opening round of the up and coming Co-Op Superstores Munster Hurling League 2019 sees All-Ireland Champions, Limerick take on Tipperary in the Gaelic Grounds, Limerick on Friday, 14th of December. 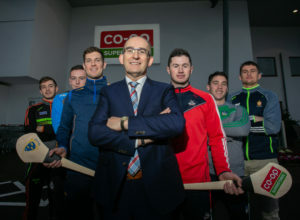 The launch was attended by Cork Manager, John Meyler, Limerick Manager, John Kiely, Tipperary Manager, Liam Sheedy, Clare Manager, Gerry O’Connor, Waterford Manager, Paraic Fanning and Kerry Manager, Fintan O’Connor. 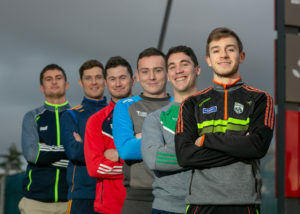 They were joined by Cork player, Seamus Harnedy, Limerick player, Sean Finn, Tipperary player, Seamus Callanan, Clare player, Conor Cleary, Waterford player, Stephen Bennett and Kerry player Jordan Conway. Co-Op Superstores has something for everyone in the community. From Stoves and Coal to Lawnmowers and Electrical Appliances, they have become a destination for all things Farm, Home and Garden. Customers can now opt for nationwide delivery direct to their home, farm or business by shopping their online store at www.coopsuperstores.ie. Final: Sunday January 13th, venue and time tbc.